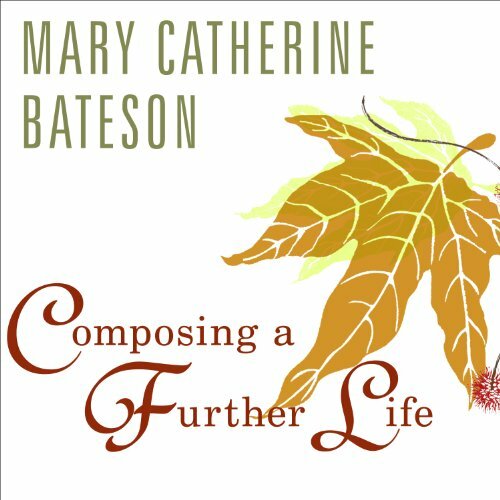 Mary Catherine Bateson sees aging today as an "improvisational art form calling for imagination and willingness to learn", and in this ardent, affirming study, she relates the experiences of men and women - herself included - who, upon entering this second adulthood, have found new meaning and new ways to contribute, composing their lives in new patterns. Among the people Bateson engages in open-ended, in-depth conversations are a retired Maine boatyard worker who has become a silversmith and maker of fine jewelry; an African American woman who explores the importance of grandmothering; two gay men finding contentment in mutual caring; the retired dean of a cathedral in New York City who exemplifies how a multiplicity of interests and connections lead to deeper unity; and Jane Fonda, who shares her ways of dealing with change and spiritual growth. Here is a book that presents each of us - at any age - with an exhilarating challenge to think about and approach our later lives with the full force of imagination, curiosity, and enthusiasm. At the same time, it speaks to us as members of a larger society concerned about the world that our children and grandchildren, born and not yet born, will inherit. "We live longer," she says, "but we think shorter." As adults find themselves entering Adulthood II, making the choices that will affirm and complete the meaning of the lives they have lived, they can play a key role, contributing their perspectives and their experience of adapting to change. In our day, wisdom is no longer associated with withdrawal and passivity but with engagement with others and the contribution that Bateson calls "active wisdom".